Marijuana companies are finding a new way to generate buzz beyond traditional advertising and marketing: They are snapping up properties that are historic buildings or were previously owned by an iconic brand such as chocolate maker Hershey. Faced with major restrictions on their ability to advertise and market their goods and services, the purchases allow MJ companies to drum up free publicity and consumer interest by pointing to a property’s former occupants – be it a winemaker or a bank. These businesses are borrowing a page from mainstream companies ranging from Starbucks to outdoor retailer REI. Denver’s flagship REI store, for example, is located in a 1901 building that once housed the boilers and engines used to generate power for the Denver Tramway Co. rail system. In addition to a Hershey candy factory in Canada, cannabis companies have acquired real estate previously owned by Pepsi, the Boston Beer Co. – the craft brewing powerhouse behind Samuel Adams beer – and winemaker Fetzer Vineyards. MJ companies also are purchasing properties that have local historic interest. 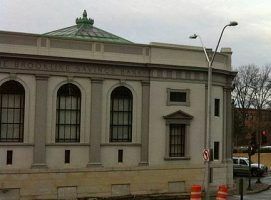 New England Treatment Access, for example, decided to put one of its two Massachusetts dispensaries in the former Brookline Savings Bank, a 95-year-old Beaux Arts-style building in suburban Boston that was built with Italian marble. The building boasts an impressive dome and is part the Brookline Village Commercial District, which is listed on the National Register of Historic of Places. The dispensary also has an agreement with the Brookline Historical Society that it maintain the building according to the group’s historical standards, Arbelaez said. While some might see that as a needless expense, Albaraez said maintaining the historical integrity of a building that is so important to the town helps his company’s relationship with local residents. “This building gives us another way to communicate with Brookliners and introduce them to the concept of regulated medical cannabis,” Arbelaez said. 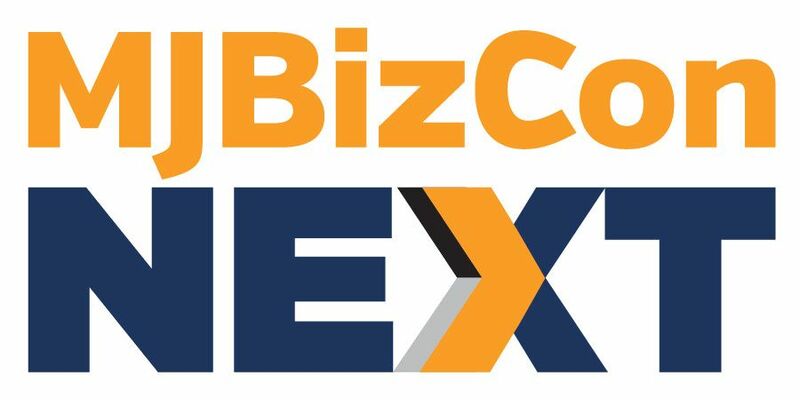 To be sure, cannabis entrepreneurs seeking real estate must consider factors like price and proximity to major population centers and transportation hubs. But MJ companies can benefit from buying a historic property or one formerly owned by a well-known brand – although how they do that varies. Last year, AmeriCann, a Denver-based real estate company that caters to cannabis cultivators, bought a 52-acre Massachusetts property previously owned by the Boston Beer Co. that it is converting into a cultivation site it plans to lease to growers. Tim Keogh, AmeriCann’s CEO, sees the purchase as symbolic. When AmeriCann closed on the property – in the southern Massachusetts town of Freetown – company executives noted in their announcement that Boston Beer was the previous owner. The brewer had bought the land for $6 million and spent a few million dollars more on planning and designing the site, Keogh said. But it ultimately scrapped the plan in favor of an already built and less expensive brewery project in Pennsylvania. Boston Beer put the parcel on the market, and AmeriCann swooped in and bought it for $4.15 million. “There was some symbolism there. It was interesting that the property was going from craft beer to cannabis. It was kind of a cool story,” Keogh said, explaining why AmeriCann chose to highlight the property’s former owners in announcing the land purchase. AmeriCann executives also liked that the property was bought from a company that as recently as the 1980s wasn’t too different from their own, Keogh noted, giving his business a legacy to inherit. Both companies saw a market niche and were early movers in their respective industries, and then ramped up, Keogh said, pointing out what he said were the similarities between AmeriCann and Boston Beer. “It’s the idea that if it worked for them it could work for us,” Keogh said. While Keogh acknowledges tossing around the Boston Beer name to raise some extra interest, he also cautioned against overusing it. “That was a fun story at the acquisition stage, and we’ll tip the hat where appropriate. But it’s not a big selling point for AmeriCann or the project that we’re building,” Keogh said. Flow Kana – a company that partners with small growers and provides them with testing, processing, manufacturing and distribution services – prefers to play down the fact the 80-acre site it bought in February is where the Fetzer family started its famous wine business in Northern California’s Mendocino County. Flow Kana did drop the Fetzer name when it announced the creation of a cannabis institute in April, but the company generally doesn’t cite it in marketing or news releases, Reiman said. Still, the Fetzer connection resulted in an avalanche of publicity for Flow Kana, including articles in the Wine Spectator as well as local California newspapers. Doyen Elements, a Colorado provider of ancillary grow and other services, also doesn’t hide that the land and buildings it purchased this year in Pueblo for a cultivation project was once a Pepsi factory. The company is now renovating the property. But don’t expect Doyen to create a catchy connection between Pepsi and marijuana for marketing purposes. Only possible b/c of the unprecedented and unsustainable manipulation of the cost of capital and accumulation of future financial obligations piled on the next generations. Enjoy it while it lasts, this type of movie has played out in different ways throughout history.